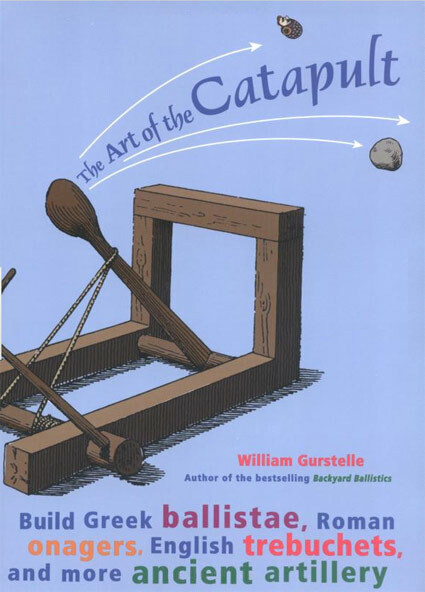 With plans for 10 working catapult projects as well as a healthy dose of history, military strategy, and physics, this book is now officially on my wishlist. Instructions are clear, with full materials lists, helpful diagrams, and no skipped steps. Saw and drill are often required, along with hardware store purchases such as PVC pipe or specifically sized wood. Some of the finished results are large, such as God's Stone Thrower, a 5' x 5' construction with considerable flinging power, while a couple are smaller, tabletop-sized models that still propel successfully.